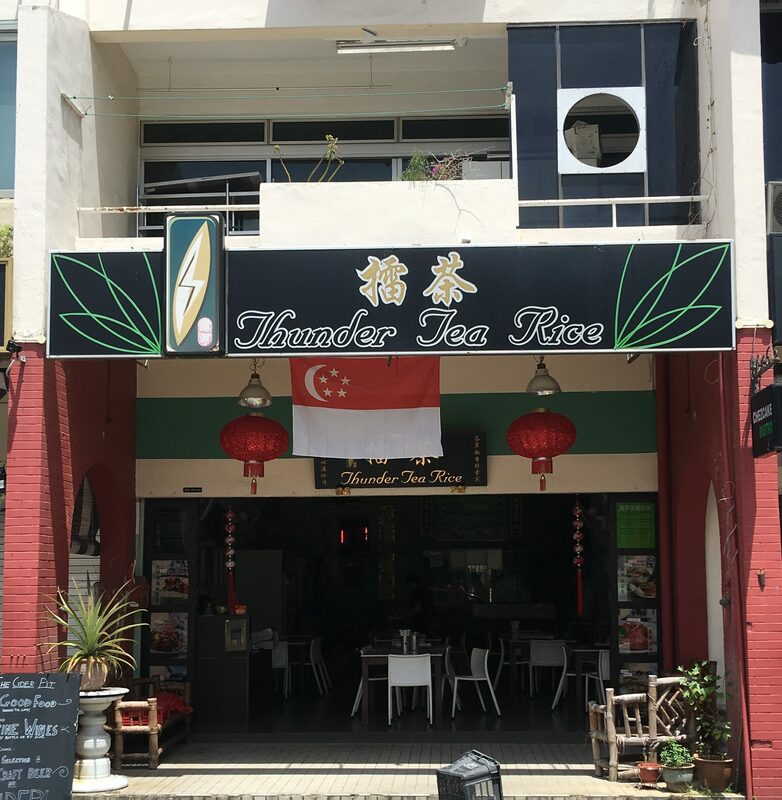 My yoga instructors and classmates at Updog Studio all said that I should try Thunder Tea Rice, just down the road from my studio at Joo Chiat. So after class, I went for it. It is supposed to be good for you, healthy, and detoxifying. So I went for the regular and a side of Hae Cho. 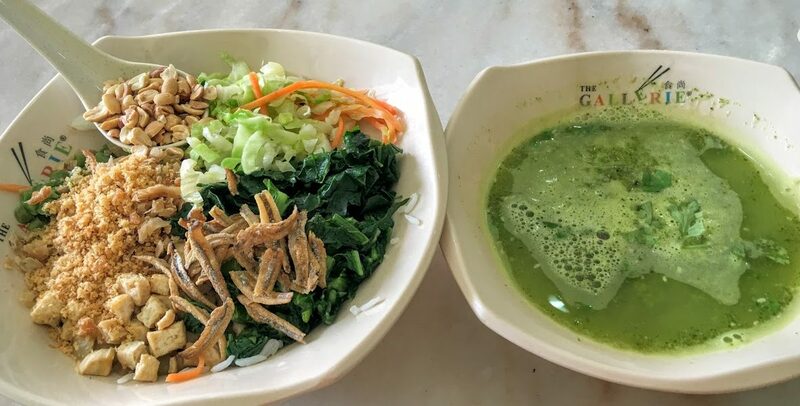 The rice itself comes in Brown Rice if you desire, and it’s topped with peanuts, vegetables, tofu, floss, garlic and Ikan Bilis. 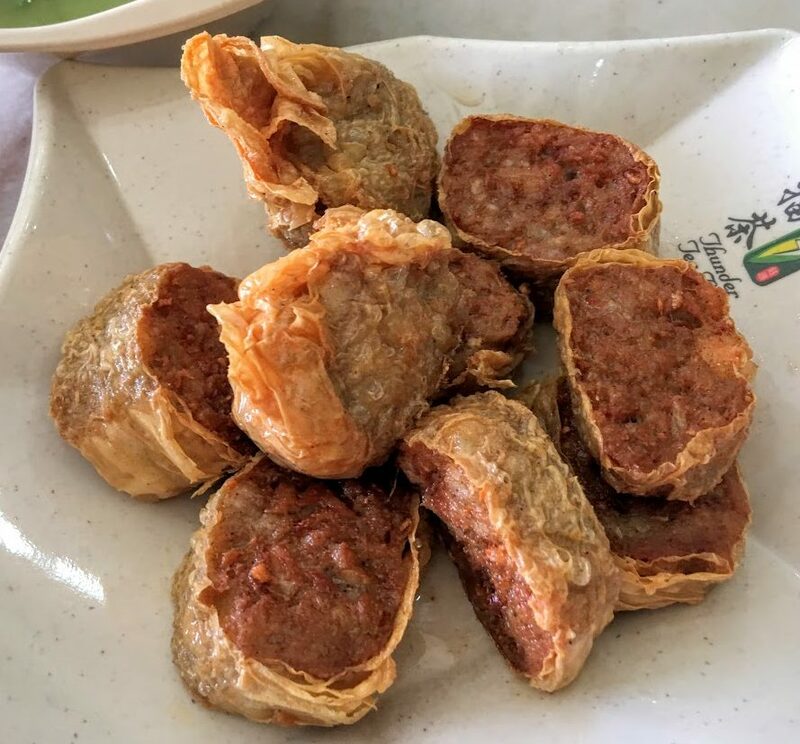 Then you take the Herbal concoction which seems to be made of Basil, Green Tea, and other herbs, all ground up into a paste and made into a slurry paste. You pour it on and mix it up and enjoy! The Hae Cho was quite nice, freshly made, but I could have used the sweet sauce that goes with it. I settled for the chili. Ok, so this portion is not so healthy for you. The taste is there. I can understand why some won’t like it because of the herbs, but it really is nice to eat. I actually prefer it over a bibimbap for example, where you are mixing the rice and veggies with gojujang. 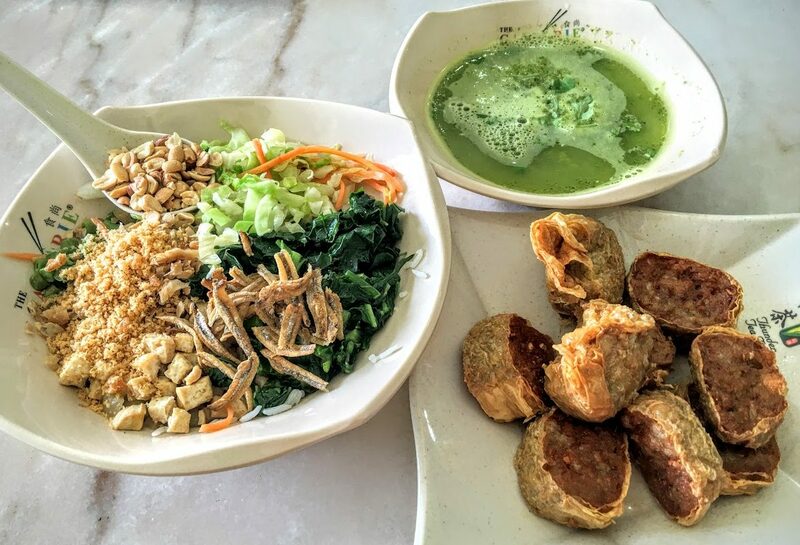 Posted in Rice, SingaporeTagged Healthy, Joo Chiat, Rice, SingaporeBookmark the permalink.